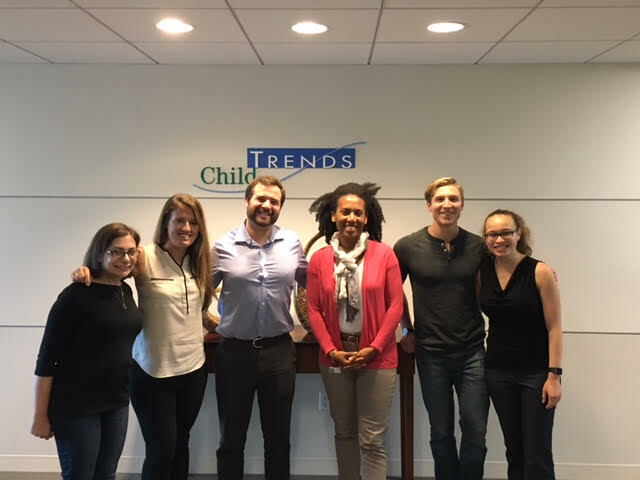 Denver: This evening, we will be taking a trip to Bethesda, Maryland and to the offices of Child Trends. 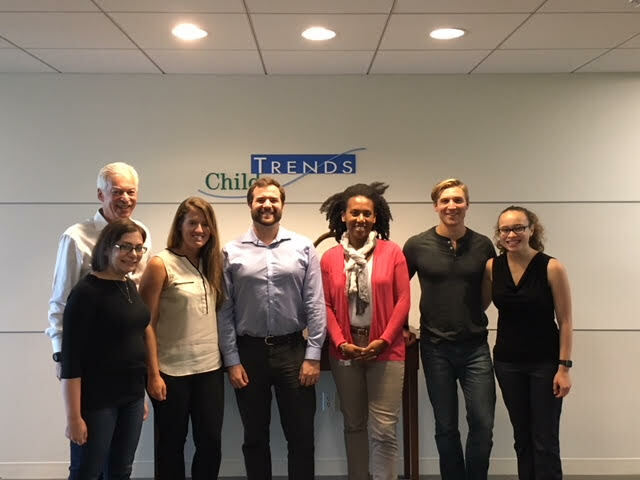 Child Trends is the nation’s leading nonprofit research organization focused exclusively on improving the lives and prospects of children, youth and their families. It’s also a perennial on the Best Places to Work list and we’ll hear from the members of the staff to find out why. 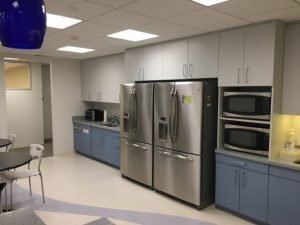 Susan: I was really attracted to Child Trends because it does prioritize making itself a great place to work very publicly and visibly. I think that says a lot about an organization’s priorities behind the scenes when they do want people to know that they’re on these lists of great places to work. And when they do, when they are very transparent about their benefits, and I appreciate the flexibility in terms of people are given, in my brief experience, a lot of autonomy to determine their own schedules, to do what works best for them. Jon: One of the most amazing things is that we are able to really work on the projects that interest us most. 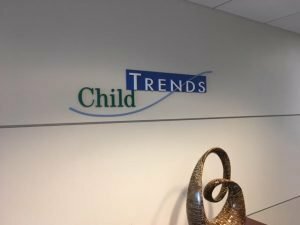 I’m on the education team at Child Trends but I don’t have to work solely on education projects. I work on youth development projects. I work on indicators projects because we really want to spread of our wings to the topics that interest us most, and Child Trends really gives us the groundwork to do that and really encourages us to pursue the projects that really inspire us and that we’re passionate about. Deborah: And Child Trends really provides the support to let people grow at their own pace and grow into positions that they want to be in. So, one of the unique things at Child Trends is although we have our set positions of a research scientist or a research analyst, you can create your own job title and those titles don’t fit what you want to be doing. So, I think that a really unique aspect of Child Trends. Kelly: So, we need to be kind of good models for our junior staff in doing that. And then, I personally have a bad habit of working too much and I get kind of kindly reprimanded by some of our senior leadership. One time, I made the mistake of sending a draft of a report to our President at 10 p.m. and the next morning, she sat me down and told me about that I shouldn’t have to work that much and that I should never feel pressured to be working that late at night. And so, it’s always a good reminder when you’re just continually being reinforced that you matter. Your health matters. Your family matters. And I really appreciate that. Esther: One of the things I’d want to touch on with feedback is that we have this little informal system of gold stars that are little sheets of paper that people can find. You can also send them remotely and they’re intended to be either anonymous or you can put your name on them but someone can write a nice little gold star recognizing anyone in their office whether above, below, at any level just thanking them for something that they did particularly well. So, you often walk through the hallways and see a bunch of gold stars on people’s offices. Kristen: An idea can literally come from anywhere within the organization and it can range from ways to improve conditions for children to ways that we improve Child Trends itself such as what Esther was describing. But it’s also notable that when these ideas come up, this is an organization that gets excited about them. They are not met with “Ugh, more work to do. It sounds great but, ugh, there’s more work to do.” That’s not how it’s received at all. People will sort of light up, feed into it, and sort of work around the person that suggested it to build it up, and up, and up, and it doesn’t always go somewhere. But that excitement is the first response to a new idea that may mean a little bit more work is really kind of refreshing. And I think that’s one of the sources of Child Trends’ energy is this sort of natural excitement for the work that we do here. Deborah: That’s one of the things that we are looking for when we are hiring is are you passionate? Are you passionate about kids? Are you passionate about the work you’re doing or is this just going to be another job? I think that’s one of the hallmarks of the people who work here is that this is not just another job for them. They are very much passionate about kids, passionate about the topic areas that we’re working on and have ideas of how to grow. Kelly: And then we have these- we call them the grids. So, essentially, every single level at Child Trends from the most junior employee to the most senior, there’s a grid and it has all of these different competencies like technical work experience, thought leadership, client development, and we’re not expected to necessarily hit everything and every one of those but it’s nice because you can see what the positions above you are and what you need to be doing technically to get a promotion. And so, I really like the transparency of that. Esther: And often, when there’s some type of policy change, one of the perfect examples is when we moved from annual performance reviews to annual goal setting at a culture of feed-forward. We weren’t just handed this decision with no explanation. Instead, we got an explanation of the research that went into this and the reason why we were making this decision and we also had opportunities for people to make comments about the policy and it was announced at an all staff so that anyone could raise their hand and raise any concerns that they had or any suggestions that they had and often, we’ll have a question and answer session that happens afterwards that people can attend and give their feedback and their thoughts. So I really appreciated that transparency and how decisions are made. Kristen: I was thinking some about the hiring process and what it meant for our culture. A person does not interview you at Child Trends. The whole organization interviews you. Sam: And once hired, I was really impressed by how soon I felt like I belonged in the organization. It’s just a matter of a couple of weeks before I really felt the sense of ownership over my tasks, the projects I was working on and a huge amount of motivation to learn and contribute at the organization as well as lots of acceptance of my ideas, my perspectives, and lots of faith in the work that I was doing. Obviously, there was review and oversight but I was impressed by how much they were willing to say, “Okay, Sam. Let’s see what you can do with this.” and the in the independence that I had even as a junior employee.